A few days ago, it was announced the billboard of Gabriela Mistral Cultural Center, which from its privileged location in Lastarria district, contribute to de spread of the naci006Fnal creation in several fields. Daniela Vega, Alejandro Sieveking, Isidora Aguirre, Divino Anticristo and Gabriela Mistral are part of more than 47 pieces that will take place next year. Minister of culture, arts and heritage, Consuelo Valdés Chadwick, was present in the cocktail in the announcement of the billboard, highlighting the searching of new audiences. Los asesinatos de William, is a glance that Shakespeare gives to deaths, visiting several decease in the Bard’s piece. They are adaptations that Alejandro Sievekink’s eye, awarded with Premio Nacional de Artes de la Representación 2017, selected. Pateando piedras. 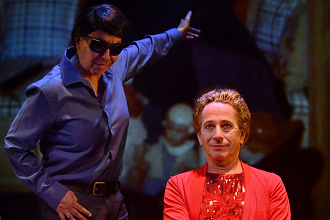 Jorge González is referenced through his always controversial statements in the press, commented by more than 140 citizen choir members that upon the stage talk about life of González, Chile and Latin America. El Divino Anticristo. In 2017, a common face in the Lastarria district left this life, to write in heavens his fanzines. This work, which is presented through the 2019 call process, reviews his life and the situation of the country in recent years. Directed by Trinidad González. Excesos. Alfredo Castro directed by Cristian Plana plays a man who tries to become his absent mistress, waiting for a woman’s usual visit to the couple. Adaptation of the texts The smile in the mouth and Excesses of Maurico Wacquez. Las mujeres de Brecht. Music and theater come together in a journey through the love and empowerment of today’s women. The poems, letters and songs of Bertolt Brecht are the material worked with performances by Daniela Vega, Daniela Lhorente, Carolina Larenas and Annie Murath. Mistral, Gabriela (1945). While in Brazil, Mistral learns that she has been selected as the winner of the Nobel Prize for Literature. Andrés Kalawski imagines a group of women from the Amazon jungle who kidnapped the poet in that November 1945. La pérgola de las flores. The musical comedy written by Isidora Aguirre in 1960 returns to the GAM stages directed by Héctor Noguera. Il concerto. The contemporary circus also finds its place of expression in GAM. In this family show the company Cirkoqoshka see the comedy of mistakes of a baroque musician and his clumsy assistant to perform an important concert in a palace. 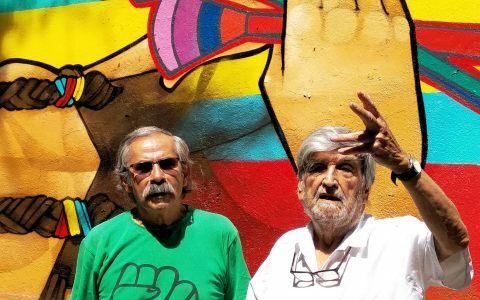 Martín y el viejo del saco. A family musical written by Isidora Stevenson shows the story of Martín, a boy who must face the first day when his mother is not going to look for him at school, facing dangers like the one that gives title to the work. Paisaje en blanco. Dance and contemporary opera merge in this creation of a multidisciplinary team where the living landscape that there is in scene cuestional to nature of the body. Directed by Francisca Sazié and Sebastián Muirhead.